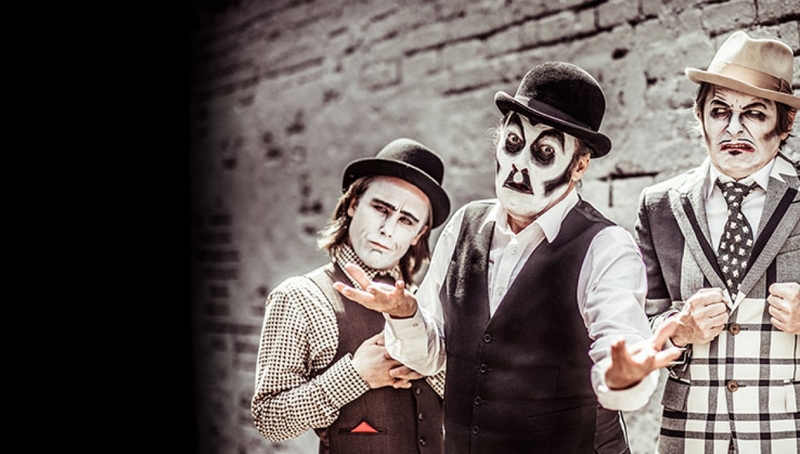 The world of The Tiger Lillies is dark, peculiar and varied, with moments of deep sadness, cruel black humour and immense beauty. Formed in 1989, they remain one of the most unique, provocative and genre-defying bands one could come across. The music they produce is a mixture of pre-war Berlin cabaret, anarchic opera and gypsy music, echoing the voices of Bertolt Brecht and Jacques Brel. Their songs cover all the dark aspects of life, from prostitution and drug addiction to violence and despair, always infused with a touch of twisted humor and sharp irony. They have participated in numerous shows all over the world, collaborating with artists of all disciplines: from circus performers to Shakespearean actors, experimental dancers to avant-garde photographers and burlesque puppeteers to classical music ensembles, and they won an Olivier award for their West End musical Shockheaded Peter (which they wrote and starred in). With support from Roundhouse Resident Artist Isobel Rogers, a singer songwriter, actress and theatre maker who writes songs that incorporate ideas about the personal and the political, as well as drawing inspiration from her childhood experience and characters from literature. Isobel’s voice and music style can be likened to that of Birdy and Gabrielle Aplin.